If you are reading this article then probably the reason would be the recording of gameplay on your Windows PC. Well, here you will get the exact thing that you need to record your favorite gameplay and that is called Nvidia ShadowPlay. Most of the time, recording gameplay results in a decrease in performance. The recording of the on-screen footage demands high GPU and CPU performance which definitely affects the gaming experience. Well not anymore, as today we are going to download the best gameplay recording software “Nvidia GeForce Shadowplay”. This is a Detailed tutorial to Download Nvidia ShadowPlay 2018 latest version. 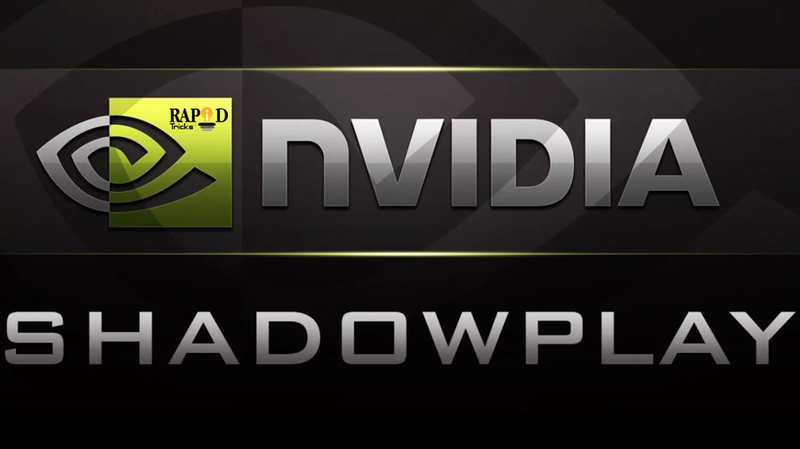 Nvidia Shadowplay is a software which is capable of recording gameplays without any trouble. Nvidia Shadowplay is a free software to use. You can record your gameplay with the help of Nvidia shadowplay for free. It has really good video recording capabilities. You will hardly notice any change in performance while recording your gameplay. Nvidia Shadowplay makes recording in-game footage a lot easier. It has a really easy to access interface. You can use Nvidia Shadowplay with GTX 650 or higher graphics cards only. It works on GPU Encoding which is an advanced method of recording in-game footage. Every Direct X9, 10 and 11 GPU is supported by Nvidia Shadowplay. You need to invest in GTX 650 or higher graphics card to access this software. You don’t need to pay any money for the software itself. • You can record up to 20 minutes of in-game footage in Windows 7,8 and 10 in Shadow mode. • You can even record unlimited length video in Windows 8 and 10 in manual mode. • It is Powered by Kepler’s dedicated hardware H.264 video encoder. • Capable of Streaming 1080p in-game footage with 50mbps speed. • Requires GTX 650 at least. All the higher graphics cards are supported. • Easy and minimal user interface. • Absolutely free of cost software. • Capable of recording in-game audio and VOIP audio at the same time. • Less file size than other rivals. How to Download Nvidia ShadowPlay Latest Version? Step 1- Go to official site of NVIDIA and download the Geforce Experience latest version. Make sure to choose your operating system. Step 2- Once the file is downloaded, open it, agree to all the terms and conditions and click on the install button. Step 3- Installation process will take some time. Once it is done, You will be able to use and access all the features of Nvidia Shadowplay. If you are an iOS smartphone user then you would also be interested in following screen recording apps. So above is the complete guide to Download Nvidia ShadowPlay For Windows PC. Nvidia GeForce Shadowplay is a nice software, especially for gamers and streams across the world. It does supports streaming platforms like Twitch and YouTube too. It does affect the gaming performance, but not as much as its rival competitors. The most important thing is that It is available to use for free. Also, It is not complicated to understand as other rival software. It has an easy to use user interface. This was our quick review and downloading process of Nvidia GeForce Shadowplay. You can subscribe to our Newsletter for more Tech brewed Content. Also, if you liked the content don’t forget to leave comments down below.